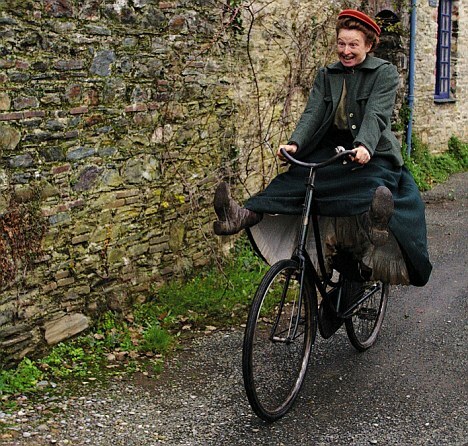 Ruth Goodman is one of those historians I want to turn up on my doorstep with adoption papers. Brits will know her from her hugely popular television series, Tudor Monastery Farm, Edwardian Farm, and Victorian Pharmacy, where she physically lives the history, coping without heat, going without baths, and stooping for backbreaking farm labour in corset and bonnet. Her enthusiasm for the daily grind of our ancestors shines through everything she does, from sealing jars with pig’s bladders to grinding up beetles for cure-all pills. Ruth shies away from nothing and reports back with glee. So it’s no surprise that her new book, How To Become a Victorian, stands out among its contemporaries for its sheer physicality and empathy. 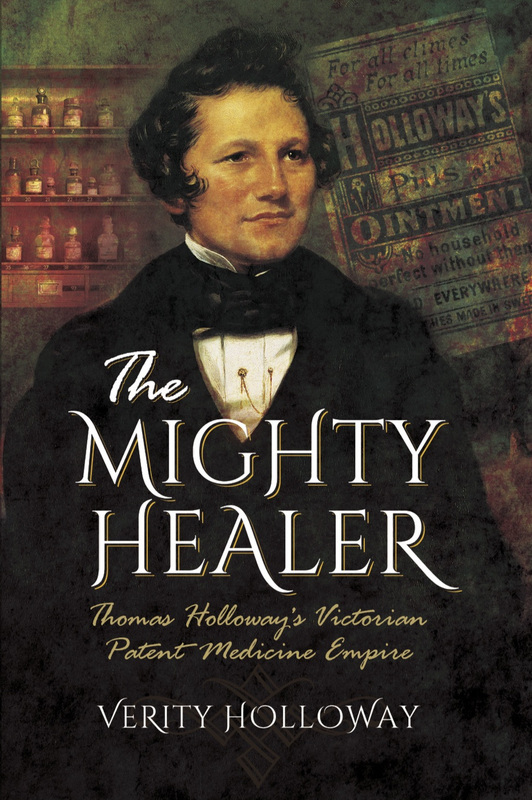 The book takes us through an average Victorian day, from the moment your feet touch the bedroom floor to collapsing in bed after a brutal working day. Or, in the case of the privileged few, dozing off after a 12-course dinner. Drawing from a wealth of primary material – maids’ diaries, middle class memoirs, and plain old household paperwork – Goodman brings to light some surprising details rarely featured in costume dramas. For example, would your bedroom kill a canary? Dr Arnott of the Royal Institution thought so. Ventilation was a big deal to the Victorians. One dubious study stated that a canary, kept in a cage close to the ceiling of the average Victorian bedroom, would die of carbon dioxide poisoning before the night was through. Another claimed it was “madness to sleep in a room without ventilation – it is inhaling poison […] deadly”. So pervasive was this myth, impoverished parents, wanting the best for their children, would keep the bedroom window open in all weathers, even when blankets were in short supply. It makes you wonder what barmy customs we’re following today for no good reason. Compare this with the practise of woollen underwear in all weathers. Porous in humidity, insulating in deep cold, a woollen vest and drawers would guard a body from the sudden changes in temperature believed to wreck the constitution. In 1823, Captain Murray of the HMS Valorous returned to Britain after a two-year tour of duty along the freezing Labradorean coast. Each man aboard was given two sets of woollen undies and commanded to keep them on. On his return, Captain Murray was pleased to report he had not lost a single man despite great changes in temperature – this was a record, and one he attributed to wool. 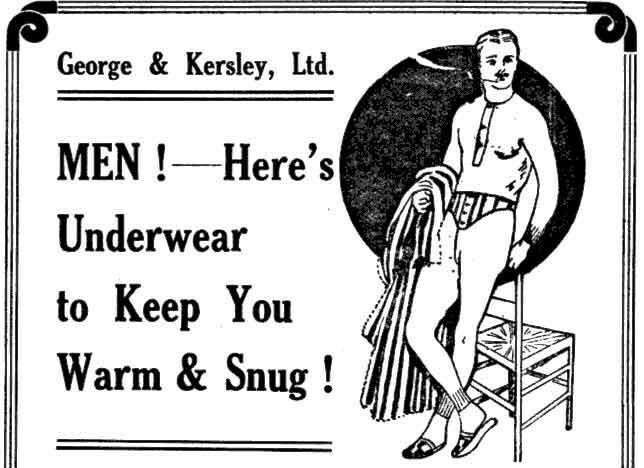 For the rest of the nineteenth century, a good set of woollen undies would become recommended by doctors all over the British Empire, even in the Tropics. Naturally, Goodman has tested this advice, along with the long-term use of tight corsets. 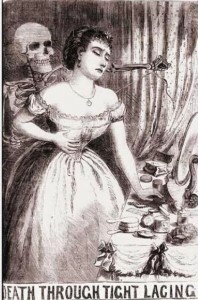 Lovely to look at, and surprisingly practical for work involving constant bending, Goodman experienced two unpleasant side effects of a tiny waist: 1) Corset rash is worse than chickenpox, and 2) after a time, her core muscles wasted away, giving her a high, breathy voice a Victorian may well have termed feminine and pleasing. She had to retrain her diaphragm with rigorous singing exercises. Goodman’s other Victorian adventures included setting her petticoats on fire, narrowly avoiding being crushed beneath a startled carthorse, and going without washing her hair for four months. By far my favourite detail was that vodka makes a suitable substitute for laudanum when a recipe calls for it. I think they call that a life-hack. Unsurprisingly, I loved the book. It’s an invaluable resource for anyone embarking on a historical fiction project. 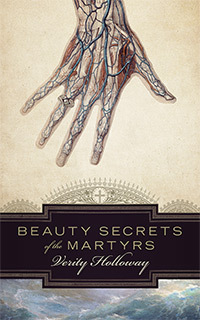 The attention given to the unromantic nitty-gritty of daily Victorian life is much appreciated, and Goodman’s dedication to trying everything, no matter how uncomfortable, dangerous, or potentially infectious, is hugely entertaining for historians, re-enactors and anyone else in danger of death through tight lacing. 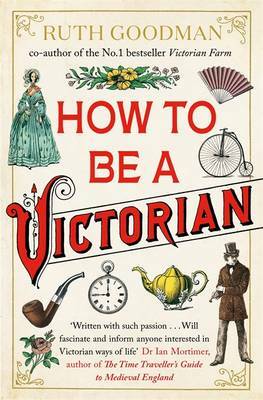 Ruth Goodman’s How To Be a Victorian is available now in paperback. This entry was posted in Uncategorized and tagged blah blah history blah blah, reading, review by Verity Holloway. Bookmark the permalink. I'm a writer in East Anglia. 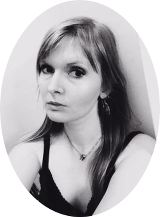 Speculative fiction, poetry, and history. Rossettiphile. Postgrad Victorianist. Museum exhibit in waiting. I have Marfan Syndrome, but my symmetry is still fearful. Contraindications: a chapbook of six poems. 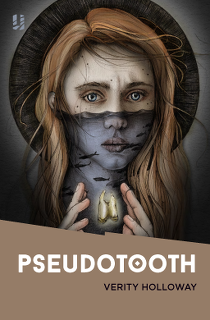 Folklore Thursday: Teeth. Teeth. Teeth.